Hello there! I hope you’re having a lovely week. When my daughter was about four years old, she had the prettiest sundress. 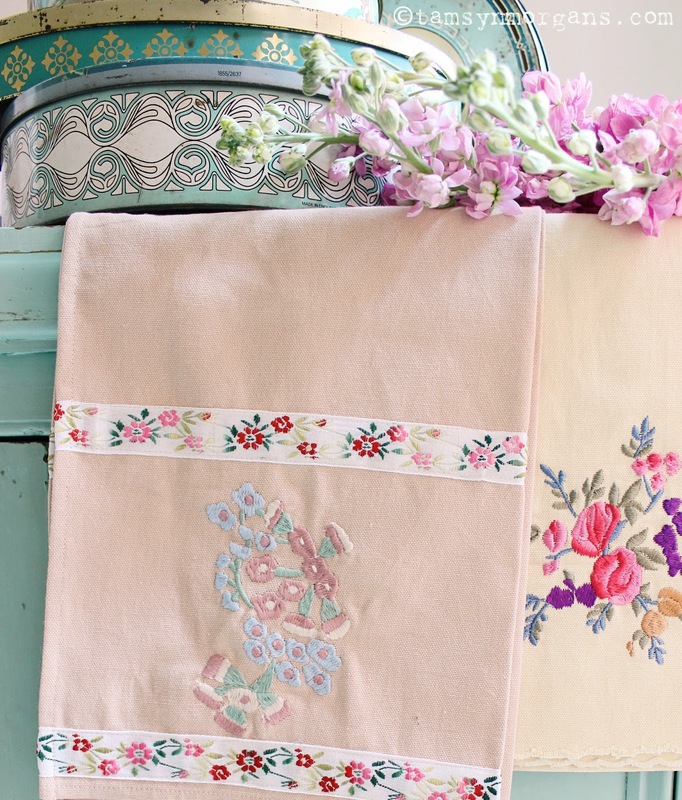 The fabric was reminiscent of eiderdowns, with paisley swirls and roses against a duck egg blue background. 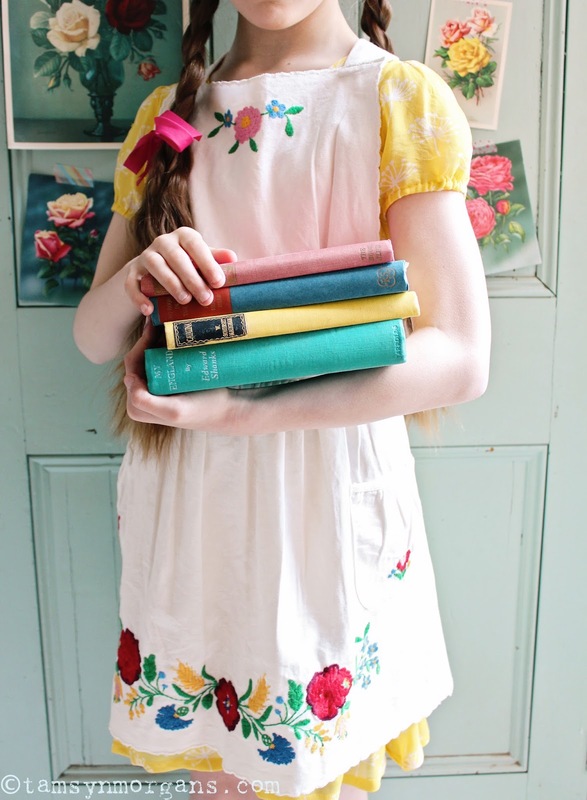 The dress was from Their Nibs, who make a beautiful range of childrenswear using pretty floral prints. 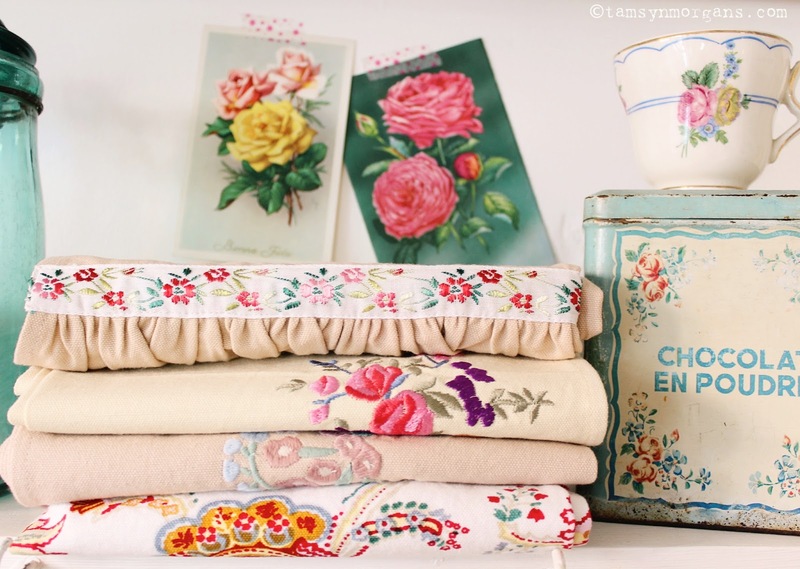 Fiona, who owns Their Nibs, recently got in touch with me, and I was delighted to be asked if I would like to review their new vintage inspired homeware range. 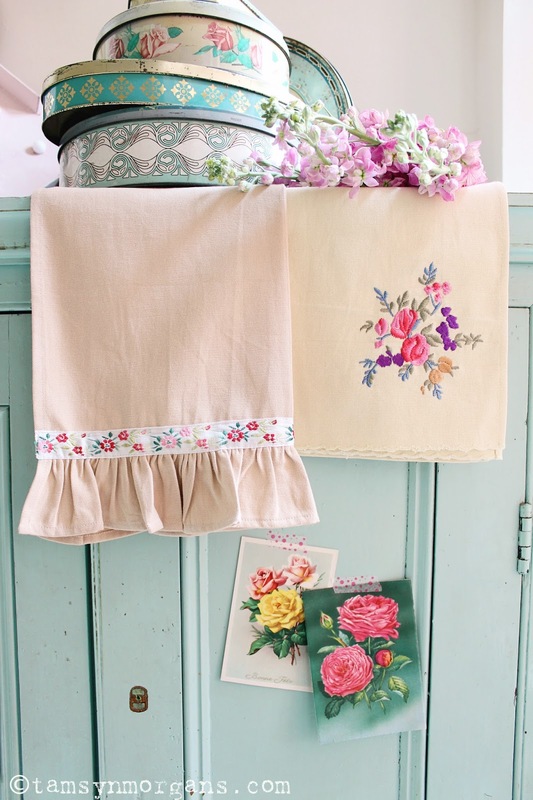 When I opened the parcel, I felt such a feeling of nostalgia – the aprons reminded my of the ones my mother used to wear when I was little, and the tea towels took me back to the little kitchen at my grandmother’s house. 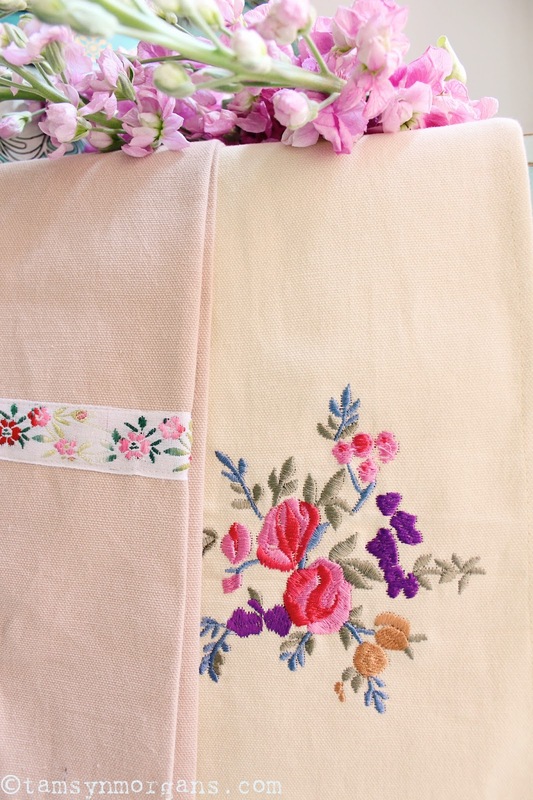 I had so much fun taking snaps of the beautiful embroidered tea towels, which would add a splash of floral folky prettiness to any kitchen. Lola, who is now nearly eleven, took a shine to the gorgeous embroidered apron, and in return obliged to model it for me for some pictures! You can find these items and more here on their homeware page. In other news the little lilac tree in my garden that I planted two years ago, has finally flowered, and I have three whole heads of lilac blooms. 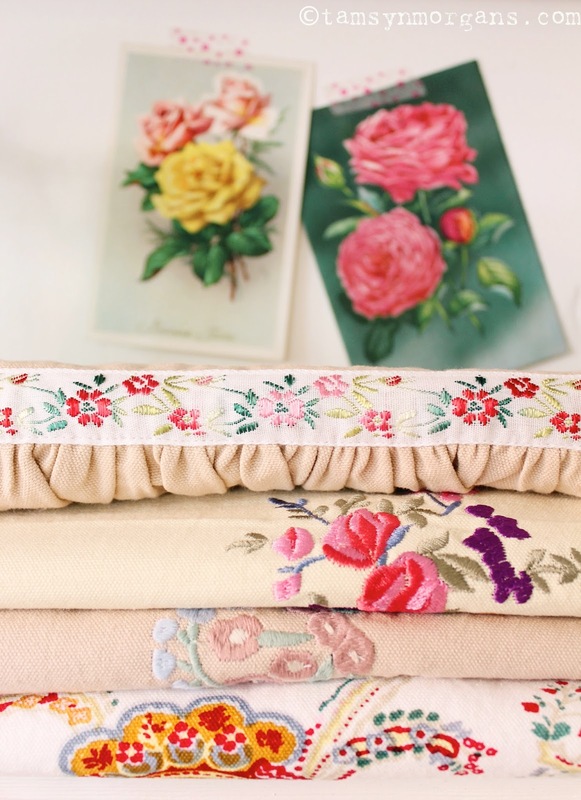 I will be back tomorrow to share some snaps of my finds from last weekend, including some luscious pastel retro fabrics!